Cute little soup bowl available as a set or stand alone. Bright fun colours with fallen leaves design etchings. Can be inscribed with a message or name of choice. Don't eat your soups in a boring bowl, make it fun! 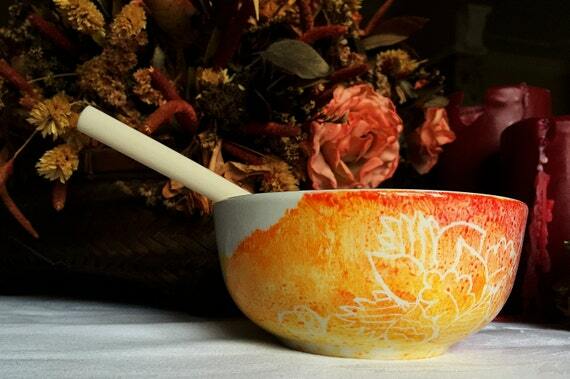 Folksy :: Buy "Pet Bowl - Red Flower"
A big red soup, tea, or coffee mug made by me for you. Folksy :: Buy "Seed bead bangles"
Folksy :: Buy "Gift Pack of 5 Mini Cards"